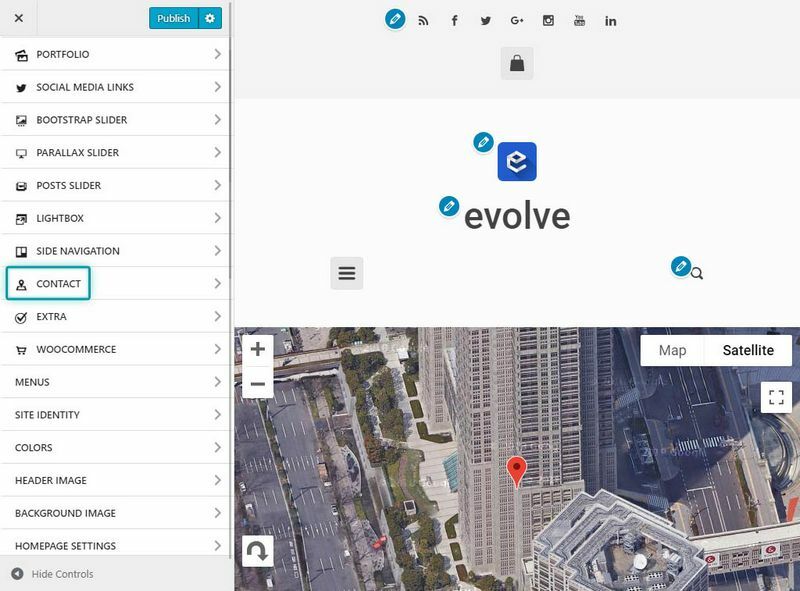 The Google Map widget will help you to display a location of your office, shop or any address of your choice. Many settings are available, like add multiple addresses, set the size of the map, map types, zoom level and much more. 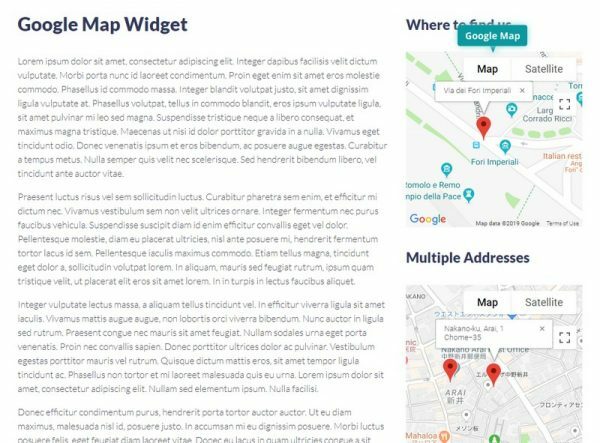 In order to enable the Google Map in the widget area, we need first enable the Google Map Scripts option and add the Google Maps API Key in the contact section under Appearance Customize Contact.